In Dhaka airport road, A lady ghost often appears and freak out the driver. Want to know more details about this haunted highway? Go through this article. Not only in natural and calm places, Ghosts also exists in urban bricks too. They are freaking urban people. So many tales and myths about them are circling among urban people. One of those urban places that are heard to be haunted is Dhaka Airport Road, which is one of the top 10 of haunted places in Bangladesh. Dhaka Airport Road, the haunted place we are talking about, is located by Tongi Diversion Road and is a part of Dhaka to Mymensingh Highway. 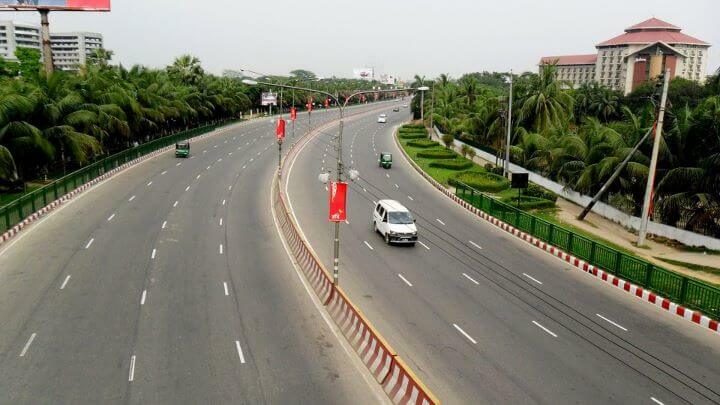 The main road line is an 8 lane major road of artery type which connects the Dhaka City and the Sahjalal International Airport, Dhaka. Also, this road connects Dhaka with the suburb of Northern Uttara. Also, it’s a vital part of road communication. Because it connects the Northern districts of Bangladesh with the Capital and vice versa. This road is one of the best-maintained highways of the entire country because of its importance as a highway. Though it doesn’t contain any shoulder of breakdown, many of the flyovers and interchanges are located along the road. That’s why the traffic load is quite smooth. 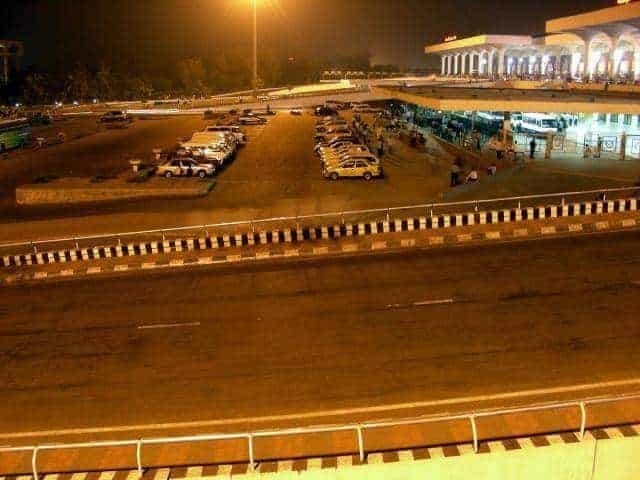 So during nights, there remains quite a silence and that’s when our story of Haunted Dhaka Airport Road begins. As one of the oldest highways of Dhaka, this road had been a legend of haunting stories that were spreading around for years. Drivers of the road often claim to see paranormal activities. The presence of a ghost at the late hour’s has been a common story among some drivers. The ghost usually appears in the places between Biman Office and Jasimuddin. The drivers and passersby who had witnessed the incidents reported about a lady ghost. 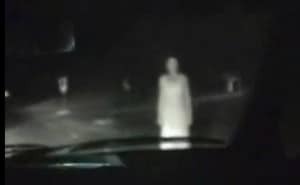 While driving in the late night, they see a woman appears on the road and approaches rapidly towards the moving cars at an instance. The witnesses have described that the woman wears white cloth. And she runs across the middle of the road with incredible and inhuman speed towards the driving cars. That lady ghost is a center of a story-line regarding the rumor of horror and haunted activities at the Airport road of Dhaka. Some local folks said that she’s a young lady haunting this place since a road accident. The death of her and her family at a car crash accident which took places here years ago. Since then, this ghost appearance tries to haunt the drivers and scare the people who pass by the place. An evil spirit had been on her since the death and still, she’s trying to take revenge for that car accident by scaring drivers and passersby on the road. She didn’t do any direct harm to the drivers and passersby of the road. But, she uses to scare people and drivers of the lonely cars at deep hours of the night. Even, because of this infamous roadrunner, several accidents had taken place as drivers got frightened away and lost their control on driving. These accidents were taking place at late night hours while driving through the road portion between the Biman Office and Jasimuddin. Some other witnesses also claim to see the ghost between Nikunja and Biman Office road. The nature of the ghost was so much sudden that led the drivers to an obvious accident. Many of the accidents were serious and people got injured. Also, due to lack of proper first aid and instant medical care, some of those victims got spot death at that place. How Can You Deal with It? Though many of the people deny the presence of such lady ghost at the place of Dhaka Airport Road, you should prepare yourself for any worst situation. Drivers often describe that ghosts don’t come at one’s sight if he keeps listening to music or keep the glasses of the car off. Controlling yourself and not letting something to scare you is the best way to be safe and sound. From one of the few witnesses, we came to know that, someday at late night, he was driving himself alone by the Airport road and suddenly a woman with white cloth appeared in front of himself. He got too much scared and started to lose the control of the car. Eventually, the car crashed into a roadside but no major harm occurred. The fact we want to point out is, the ghost even didn’t make a sound or touch the car, the accident occurred completely due to the scary mind of the driver. If he would hold tight and drive as fast as possible to escape the place, he would be completely safe. However, this road is completely safe and under security observation during the daytime. So any kind of haunting experiences are not supposed to take place here in the daytime. It’s still completely safe for the passersby and the drivers. No major harms are expected to occur as long as you hold your breath and bravely face it down! The lady ghost of the haunted Dhaka Airport Road is a very common scary figure among the city dwellers. There may be believers or non-believers among them. But, One thing is true. The stories of that mysterious lady ghost are enough to give goosebumps to the drivers.